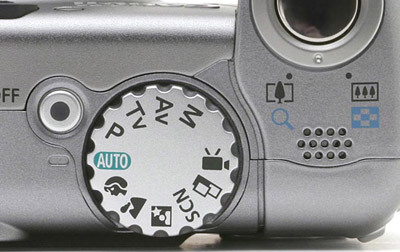 What's the best way to decipher your camera's sometimes cryptic icons? The Owner's Manual. Whether your camera is old or new, digital or film, SLR or point-and-shoot, I encourage you to get out the manual and read it. While not a best seller, the manual is one of the best resources for learning all of the functions and settings of your camera. Find a setting that is new and interesting to you and practice using it every time you take a picture over the next week. Choose another feature next week. You will be surprised by some of the creative things you can do with your camera and how quickly these adjustments become second nature. If you do not have the manual, you may be able to download it from the manufacturer's website, I've listed several popular manufacturers below. If a link does not take you directly to downloadable manuals, look in the "support" section of their website. Need help with some technical terms, go to PhotoNotes or Wikipedia.